Another new film has been added to Lifetime Movies’ lineup of thrillers with The Art of Murder, which will premiere on Friday, October 5, 2018. The movie is about a young art gallery student who finds herself in deadly danger after finding an undiscovered masterpiece. There’s a killer on her trail while the painting’s auction date draws nearer. Will she survive? Find out by tuning in to the newest offering from Lifetime Movies! Lifetime Movies is bringing yet another thriller for you, and this one is titled The Art of Murder. The film will be aired at 8:00 p.m. on Friday, October 5, 2018, and it’s guaranteed to be a real nail-biter filled with suspense and tense moments. People are very eager to know more about Lifetime Movies’ The Art of Murder. So, here’s everything you need to know about the film’s cast and plot! An art gallery assistant named Kate Miller (Alexxis Lemire) meets the heir of a run-down estate and unexpectedly comes across a never-before-seen masterpiece. To her surprise and reluctance, she finds herself smack in the middle of the mulit-billion-dollar industry of art auctions. However, these high stakes turn fatal when the painting’s integrity and authenticity are questioned. Kate and the art gallery soon discover to their horror that they are at the epicenter of a million-dollar conspiracy. And as the painting’s auction date draws nearer, Kate finds herself in extreme danger when she discovers that a desperate stalker will stop at nothing to prevent the truth from emerging. The movie stars young actress Alexxis Lemire in the crucial role of art gallery assistant Kate Miller. The 22-year-old actress is known for her roles in TV films like The Other Mother and Truth or Dare, and her work on TV series like Lab Rats: Elite Force. Lemire graduated from Londonderry High School in Londonderry, New Hampshire in 2014. Such an amazing project to work on. One of my faves to date! Truth or Dare is out now on digital and DVD! Check it out, I dare you? Other actors who play important roles in the film are Jordi Vilasuso, Mira Furlan, Stephen Graybill, and Brad Greenquist. Even though the actors aren’t big names in the industry, they play the roles of their characters well. So, the movie should definitely be a treat to watch. An interesting fact about this film is that it was earlier released under the name, Paint by Murder. MarVista Entertainment is the company behind the film, and the film’s details appear on its official website. So, did Lifetime Movies acquire the rights to this film and rename it as The Art of Murder? Our guess is as good as yours! 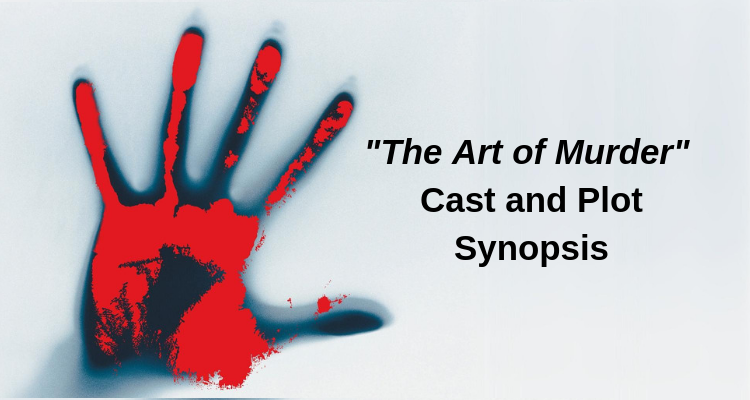 The Art of Murder is a real thriller and an exciting watch. So, make sure you don’t miss it when it premieres at 8:00 p.m. on Friday, October 5, 2018, on Lifetime Movies.